Seacrest interviews during On Air With Ryan Seacrest about directing the film Just Before I Go. I wanted to direct this particular movie because it makes you laugh out loud. It’s really, really funny and it’s also really touching. It’s about a guy who wants to end his life and I know it sounds sad he goes back to his hometown to right some wrongs with the people he thinks are responsible for him being in his place. And as he does, he realizes that everyone has problems and he has this big epiphany. It’s a really beautiful, heartwarming story, but it’s laugh out loud funny. Seacrest interviews Barrymore during On Air With Ryan Seacrest about Safe Kids Organization. As a parent, when I’m not on Japanese food tours, my highest priority in life above everything is doing the best for and by my kids. I think we think a lot and live a lot by bringing our kids up safely. But there’s so much about keeping your kids safe in a logistical, pragmatic, new studies, latest research, laws-changing way that will be the biggest game-changer in a parent’s life…It has to do with everything from the message being put into your brain of, you never leave your child unattended in a bathtub. When are the shots important? I didn’t have parents that I could look to and ask those questions. So these current standards on the safety of children, I think, are so incredibly done by this organization. Seacrest interviews Lambert during On Air With Ryan Seacrest about the lyrics to his single Ghost Town. It’s a bit bittersweet. It’s a bit melancholy. It’s kind of about life always not being exactly what you think it’s going to be, but trying to kind of get through it and make the most of it and be the best person you can be but it’s not always easy. Our dreams aren’t always what we think they’re going to be. Seacrest interviews Hiam during On Air With Ryan Seacrest about listing to the single Pray To God on the radio. We were like, Ok, we’re going to turn on the car and pray to God that Pray to God is going to be on KIIS FM. When I turned on my car and it was on, we all freaked out. We called Este, my mom was crying, my dad was throwing confetti in the air. It was a big moment in the Haim household…Growing up, the radio was it still is the most massive part of our lives because we’re always in our cars. I think people around the world, whenever they ask us, ‘What are you inspired by?’ We’re always like, ‘Los Angeles radio because that’s what we listened to growing up. Seacrest interviews Kaskade during On Air With Ryan Seacrest about encouraging his kids dreams. My family was always supportive with [me saying] ‘Hey, I want to make music when I grow up,’ so I will be the same way [for my kids]. They’ll be here this week at Coachella with me, so who knows what that will inspired. Seacrest interviews Shelton during On Air With Ryan Seacrest about hosting the ACM Awards. I don’t know if you’ve been in that stadium yet or not, but it’s bigger than the county that I lived in in Oklahoma. It’s the 50th anniversary of the show, so there’s going to be a lot of surprises [Luke and I] have [brought] a good level of immaturity. That’s what we need in music these days. Seacrest interviews Rancic during On Air With Ryan Seacrest about her controversial red carpet statement in which she says actress Zendaya’s dreadlocks lookes like she might smell of patchouli oil and weed, causing cast members Kelly Osbourne and Kathy Griffin to quit The Fashion Police. It’s kind of crazy. Look, it was a tough season to do, obviously without Joan Rivers there. She was the driving forced behind Fashion Police. It just didn’t work. There were all sorts of issues right from the beginning. Then when the whole incident happened with the Oscars show obviously everything imploded form that point on. It’s been sad to watch and it’s been really hard to live through. The past six weeks have been very tough for all of us. Honestly, you’d have to ask her [Kelly Osbourne] I don’t know [why she quit]. I haven’t spoken to Kelly since the night that show aired. She and I got on the phone and I was like, ‘Kelly what’s going on?’ And she’s like, ‘I don’t know’. I’ve known Kelly a long time, so obviously she was being very friendly and supporting that night. Then, everything just went crazy from there. Seacrest interviews Frankel during On Air With Ryan Seacrest about returning to Real House Wives Of New York. I came back because I missed the connection the connection with the audience, that is I missed the freedom. I had to accept that I really am kind of a professional reality star. I mean, this genre is great for me because it’s liberating and you can kind of say what you want, and do whatever you, and be whoever you want, [and] express yourself. I really do miss that. 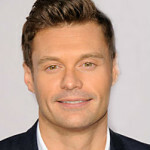 Seacrest interviews Sparks during On Air With Ryan Seacrest about his film The Longest Rid. I grew up with it [ranching]. I watched it, and then my sister married a guy who had been in a rodeo and lived on a cattle ranch. So the ranch in the novel is pretty much the ranch my sister lived on and here we are. Seacrest interviews Eastwood during On Air With Ryan Seacrest about his role as Luke Collins in the film The Longest Ride. What’s really special about this movie is, it’s about life and the choices we make and relationships. I think it’s different from some of the other [Nicholas Sparks movies]. It’s really grounded in reality. I think it’s one of his better ones in recent years. Nothing can prepare you for riding a bull. It’s probably the dumbest thing I’ve ever done. Seacrest interviews Phillippe during On Air With Ryan Seacrest about his role as a murder suspect in the TV series Secrets And Lies. The show goes to some dark places, but there is kind of a sense of fun to it all. What I’m really enjoying is the social media reaction. On Twitter, people like theorizing who did it or who didn’t, telling me how frustrated they are with my character’s choices and how they’re yelling at the TV. Seacrest interviews Price Is Right model Arbelaez during On Air With Ryan Seacrest about how she accidentally helped a contestant win a car. So I went ahead and revealed the first one, [and] I just went on autopilot [and had a] brain fart, completely. After I heard the [buzzer for] the wrong answer, then automatically what we do after that sound is reveal the remaining tags, so the viewers can see which one was the right one. And that’s what I did, ignoring completely that she had two more chances [to guess]. I was the only person that was mortified. [Drew Carey] thought it was hilarious I was in tears, I was mortified. I was like, it’s a big mistake and if I lose my job over this I get it. The producers came to me and they were laughing it up. They thought it was hilarious, they thought it was great. Seacrest interviews Iglesias during On Air With Ryan Seacrest about his role in the film Magic Mike XXL. I’m playing the DJ, but this time around, I get to do a little bit more. I don’t want to give away too much, but I do get to touch the stage. Seacrest interviews Bieber during On Air With Ryan Seacrest about the Comedy Central Roast Of Justin Bieber. What made me to really want to do was having people close to me do it. Because Ludacris has been close to me for so many years, and Shaquille O’Neal and Kevin Hart. A couple of them I didn’t know, but most of them were close to me, so I knew it was all out of fun. Seacrest interviews Ludacris during On Air With Ryan Seacrest, about his album Ludaversal. A lot of artists aren’t even able to make it to No. 2, so I’m extremely blessed and just thankful that everyone is receiving it so well and the feedback on the album has been phenomenal, man. It was a hell of a lot of fun because I took out three or four years to take a break kind of just to live some life again, to get inspired, to have more to talk about, and this is just like the rebirth. So again, it almost feels like album No. 1 for me because that hunger, that passion, that drive, the tone you hear it in all of those songs. Seacrest interviews Duff during On Air With Ryan Seacrest about her role in the TV show Younger. I play this girl, Kelsey Peters, who is pretty motivated and driven in her work life and her personal choices are questionable. So, it’s fun to play that for me The show is all about reinventing yourself, and if and when you get stuck in a rut, or in that wheel of life where you’re just going and not really happy, the show is kind of challenging that. F- it, we can do it. Seacrest interviews Lopez during On Air With Ryan Seacrest about her single Feel The Light. I didn’t write the song. The song was written by Stargate and it was written for the movie Home. And it was the one that they thought that I should do. I just feel really lucky because I think it’s an amazing song. My kids love it and that’s all that really matters. Seacrest interviews Piven during On Air With Ryan Seacrest about his role as Harry Selfridge in the TV series Mr Selfridge. He was an incredible character. Between nine and five, he was brilliant. At night, he could be a disaster. He loved to gamble and cheated on his wife, and yet, [he] came to his senses. It’s a cautionary tale [and] it’s the best work that I’ve ever done. It’s challenging when you’re on a station that is funded by the people. They don’t have any money to advertise. So, it’s up to me to be a one-man band. And it’s almost like a pop culture experiment to see how long it takes to possibly break a show with just one man. And I feel like the tide is turning. Seacrest interviews Jonas during On Air With Ryan Seacrest about hosting the Kids Choice Awards and being the shows opening performer. It’s pretty wild. The people from Nickelodeon love slime more than anything else in the world. And they love watching people having to kind of deal with it afterwards. I’m going to be singing Chains and it’s a really incredible open to the show. I don’t want to give anything away, but I am sort of integrated in the beginning in some way. So be watching from the start. This is obviously going to be the biggest and best night of music. I’m thrilled to be a part of the show. Seacrest interviews Amoruso during On Air With Ryan Seacrest about her Nasty Gal line. Nothing that I sold on Nasty Gal was stolen. Stealing was when I was pre-deciding to be an entrepreneur. I was like, I don’t like working for other people, f- the system. I’m going to steal CDs from Starbucks and sell them on Amazon. I guess that was like my first foray into entrepreneur-ism and the first stuff I did sell online was stolen. But it was long before I started Nasty Gal, and I learned the hardest way that that doesn’t pay off. Seacrest interviews Corden during On Air With Ryan Seacrest about hosting the Late Late Show. We’re just going to try our best to make a show that is warm and doesn’t exclude anyone. And hopefully, we’ll be able to put a smile before, or more likely, whilst you sleep at night. Seacrest interviews Perry during On Air With Ryan Seacrest about The Prismatic World Tour world television premier. The Prismatic World Tour is crazy and it’s not a joke. We did 127 shows. I’m very tired, obviously, but still standing, still kicking, and I feel about 56 years-old right now. Well everybody should tune in because I got to film this amazing show. And I’m very proud of it, and it’s an amazing show full of a lot of the songs people are familiar with, because I always know that it’s always very important when going to tour is to sing the songs that people have made memories to. I created like seven different worlds. There’s so many different costumes and things to look at and wonderful remixes. Seacrest interviews Lautner during On Air With Ryan Seacrest about his role in the film Tracers. I find myself at the beginning of the movie owing a bunch of money I borrowed, and that’s when I met Nikki and her street criminal friends who sort of have this underground delivery business using parkour. I become involved in that to make some money…Whether it was running down a street from roofs of cars to the top of a semi truck, jumping down from that, or some insane jump off a building, it was endless, these crazy stunts we had to do. Seacrest interviews Trainor during On Air With Ryan Seacrest about the MTrain Tour and how she chooses special fans for a personal meet and greet. I’m almost done with this first leg of this tour. Which is unreal because I feel like I just started. Sometimes when a girl cries a lot, I’ll definitely take her to meet and greet. Or a lot of times, my tour manager will have little nieces, and I’ll take them or family members. In Boston, I had my own two cousins come up. Seacrest interviews DeGeneres during On Air With Ryan Seacrest about executive producing NBC’s television sitcom One Big Happy. It’s a story about love, and family, and friendships. And it’s Elisha Cuthbert, who is adorable and funny, and Nick Zano are best friends and have been childhood friends and they decided if they don’t have significant others by a certain age, he’s going to help her get pregnant because she’s gay and she doesn’t have someone in her life and she wants to have a kid…They’re going to raise a child together; all three of them. So it’s funny and it’s sweet and it’s great that NBC picked it up because it’s something that’s on television that is brand new and people have not seen this before. And there are a lot of ways to define a family. Seacrest interviews Foxx during On Air With Ryan Seacrest about his single You Changed Me. It’s great for me because it’s not too, too young, which my daughter always reminds me, ‘Don’t get too young. My daughter is always on me even when I was trying to wear ‘too young’ of a shoe. With this music, I let her hear the music and she said, ‘Dad, that’s it. You’re young, it’s fly, it’s grown’. Seacrest interviews Johnson during On Air With Ryan Seacrest about his life threatening crash. Fortunately, I got two impacts with the wall, but the angle wasn’t too severe and the car kind of took the energy of the impact. So nothing bad there. We had some bad wrecks earlier in the year for some of my coworkers essentially. You know Kyle Busch being the notable there, and hopefully he’s recovering well and will be back on the track soon. Seacrest interviews Elgort during On Air With Ryan Seacrest about his role as Caleb in the film Insurgent. In this movie, my character takes a big turn because both his parents are murdered in the first film. As a result, I think he’s really questioning what he should be doing. He’s on the run with his sister because she’s his only family left. He wants to try to kill the leader of the ‘evil faction,’ whereas my character believes the evil faction is the faction that has everyone’s best interests in mind. So you can sort of say that I’m the villain, but I’m not. I’m misinformed. Seacrest interviews Derulo during On Air With Ryan Seacrest about his album Want To Want Me. I was coming off of a crazy experience. That was a point where I broke my neck and I had to cancel my whole tour. I was making music just for myself. It wasn’t planned for an album or anything because I was supposed to be on tour…So I was just in the studio doing me and that’s what came out. The album just had a bunch of songs that made you feel good because I needed to get myself out of the rut that I was in. So I was making music that made me feel good. Seacrest interviews Big Sean during On Air With Ryan Seacrest about his album Dark Sky Paradise. It’s just cool to see it pay off. I really put my heart into and I put a lot of effort into it. It’s just cool, man, when you follow your heart and how it works out. The second I found out it was No. one I haven’t slept in days and I was exhausted and it was like I just got hit by lightening. Everybody kept hitting me up. I mean everybody. Even Kid Rock text me because we both put an album out on the same week and he was like, ‘You deserve it, man! Congratulations! Seacrest interviews Vaughn during On Air With Ryan Seacrest about his hand and footprint ceremony held at Hollywood’s TCL Chinese Theatre forecourt. It was cool. Jon Favreau introduced me and we used to live just east of there in Los Feliz and Hancock Park when he came up and wrote Swingers. We used to walk around in Hollywood and the Chinese Theater is one of those places you walk by and kind of look at all the names and stuff. To be included in that the other day was great. Seacrest interviews Clarkson during On Air With Ryan Seacrest about her album Piece By Piece. It took long enough. Man, I haven’t had a record for a while, so I’m excited it’s finally out and everybody is going to hear it. I had already actually recorded my vocals on the Maroon Five tour we did two years ago. So I had already recorded my part, and then I had asked John to do it by the time we started actually doing the album. He recorded it while he was on the road and then I kind of re-cut my vocals again just to kind of match him on certain parts. God, he’s the coolest and he’s also the most talented. It must be so nice being John Legend. Seacrest interviews Bacon during On Air with Ryan Seacrest about his television series The Following. Joe Carol (James Purefoy) is on death row, and the question for this season because there are some new threats is whether or not he is actually orchestrating this in some kind of a way, or maybe it’s just the tip of the iceberg. And there is a bigger or scarier presence than even him…About mid-way through the season, we got a fantastic actor Michael Ealy who comes on and does a really, really great job. He’s a new big bad and he is very, very different than Joe a very different kind of presence, but just equally as scarier. There’s a lot of really interesting killers this year. It is a frightening show and that’s what people want and expect from the show, and we’re definitely going to deliver that this year. I think there are things this year that are scarier than anything we’ve done. Seacrest interviews Wilde during On Air With Ryan Seacrest about her role in the film The Lazarus Effect. Probably the scariest moment is when I had to wait for the scene to get to the point where they pulled the sheet off me. I was kind of getting freaked out under there. But [for] most of the movie, I’m actually wearing these black eye lenses that make me blind, so it was an interesting experience shooting this movie only hearing everybody around me. I’m more scared of people than ghosts. Seacrest interviews Duhamel during On Air With Ryan Seacrest about his role as detective Milton Chamberlain on the television series Battle Creek. My character is sort of the newcomer character of this town. This local detective squad is really underfunded and has to make due with very little. So my character is a government agent who has all the access to whatever information they need and has a lot more resources than they do, which drives my partner, Dean Winters’ character, nuts. Seacrest interviews Thorne during On Air With Ryan Seacrest about her role in the film The Duff. It’s really just about being put in labels and boxes and I think everyone in this room has been put in one before. It’s kind of just about saying, ‘OK, those are just words and I can do whatever I want, and I’m still going to be the biggest, coolest weirdo that I can be. If you’re a kid and you’re going through a tough time and you feel a little out of place, that out of place-ness becomes the beauty later. Because people look for originality later. So if you’re having a hard time, hang in there. You’re going to be the jewel soon. Seacrest interviews Aldridge during On Air With Ryan Seacrest about the hour long television premier of the Victoria Secret Swim Special. It’s so much different than the fashion show that we usually do around Christmas. It’s much more personal. You kind of get a behind-the-scenes glimpse of what it’s like to shoot the swim catalog, and you get to see our personalities. It’s really fun. We had so much fun filming it. Juanes and Maroon Five make appearances in it. Seacrest interviews Forte during On Air With Ryan Seacrest about his role in the television series Last Man On Earth. My character got into a big bus and I drove all over the place looking for people and I didn’t find anybody. So I show up back in Tucson and just try to figure out what to do with myself. Seacrest interviews Smith during On Air With Ryan Seacrest about his role in the film Focus. When I first got the screenplay for Focus and then Margot got cast and Jada looked up Margot online and saw that she was 23-years-old and in perfect condition, Jada looked at me and said, ‘Boy you need to go to the gym right now’…He (Apollo Robbins) had circumstances in the past that he wouldn’t discuss, he’s turned over a new leaf, but he is an absolute genius. What he was explaining to us about the concept of Focus. He said, ‘Ok, this is what we do,’ and he had me walk into a store and steal a pack of gum and walk out. It’s like jumping out of an airplane. It’s such a bizarre thrill. Seacrest interviews Azalea during On Air With Ryan Seacrest about her career and collaboration with Jennifer Hudson. I’m working on my second album at the moment. I’m at the beginning stages. I started working on it. I maybe only got a week of recording in to be honest with you since January. And then I started doing all this Grammys stuff, and then I decided to direct the music video for my new single with Jennifer Hudson called “Trouble,” so that took up a lot of time. Seacrest interviews Robinson during On Air With Ryan Seacrest about his role in the film Hot Tub Time Machine Two. What my characters does is he take songs that should have been released and he gets the melody right, but he doesn’t quite get the words right. And he’s conflicted over that. He’s conflicted over his originality issues. Seacrest interviews Martin during On Air With Ryan Seacrest about his Latino reality show La Banda. This is very interesting: the audience is going to dictate who is going to move forward to the next step. The audience is going to dictate what artist is going to go and meet us the judges. So that is something that has never happened in a reality show. The power of the masses, the power of the fans, they are going to say who is going to be in the show. Seacrest interviews Millan during On Air With Ryan Seacrest about dog training and how to stop your dog from tackling you as soon as you get home from work. This is what I would suggest to people to build as a habit: First you enter into your house and ask for calmness. But first you ask the dog to be calm, then you ask the dog to be excited, then you finish with calmness. That way you have the two worlds: the calm world and the excited world. Seacrest interviews Ora during On Air With Ryan Seacrest about her role as Mia Grey in the film 50 Shades Of Grey. It was the best experience ever and it’s such a great kind of opener for me to kind of get into the Hollywood movies. It’s just a really, really fun experience, and the soundtrack is awesome. Seacrest interviews West during On Air With Ryan Seacrest about his shoe collaboration with Adidas Yeezy 750 Boost. Retailing at $350 dollars, Kanye promises there will be no violence due to under stocking of his shoes. I just want people to be safe and patient. I know you can run up on this 14-year-old kid and take his Yeezys, but just be patient because we’ll make more Yeezys. Eventually, everybody who wants to get Yeezys will get Yeezys. Adidas has promised me that because there’s so many kids that wanted them, but couldn’t get them. And I talked to the heads at Adidas and they said, ‘We can make them’… Like when I was growing up, kids wanted Jordans. Kids got killed for Jordans. Now that I’m in a position, I’m going to make sure everyone gets Yeezys. Seacrest interviews West during On Air With Ryan Seacrest about the Grammy controversy when he ran on stage during Beck’s acceptance speech for album of the year. Well first of all, Beck is one of the nicest guys and one of the most respected musicians in the game. So, there’s nothing that I will want to do as a fellow musician to disrespect him in any way. And the weird thing is like, and I don’t feel like I have the right to take away from people’s moments, but the reality of it is and case in point by who came up to me right afterwards is it’s almost like a chiropractor. You know, you just get a little crook out like, Wow, this crook has been there! It’s just a little jolt of truth, right? And then you know, everyone feels better after the fact, or everyone is way more famous after the fact, or everyone sells way more albums after the fact, and then Kanye just goes on being an a**hole to everyone. Seacrest interviews Stewart during On Air With Ryan Seacrest about writing and directing his film Rosewater. The film is about the life and capture of Maziar Bahari by Iranian forces. He was an Iranian journalist that we met when we sent somebody to Iran to cover the new Axis of Evil. And he spoke with us, along with a couple of other people, and the Iranian officials arrested him in 2009 and showed him the piece he did with our stupid show as evidence that he was a spy. And they kept him in solitary for 118 days. So I thought, ‘Jeez, I could either give him a gift certificate to like a Baskin Robins, or maybe make a movie about him?’ I had to make it up somehow. Seacrest interviews Justice during On Air With Ryan Seacrest about her role in the MTV series Eye Candy. It’s a very different role than anything I’ve ever done, which is why it was so exciting for me. I play this computer hacker girl who is on a mission and she also has a lot of emotional back story. My sister was abducted in the first episode and it’s my mission to find her.